Thanks to all the folks at pine bros. for your confidence in me. I look forward to making you proud. 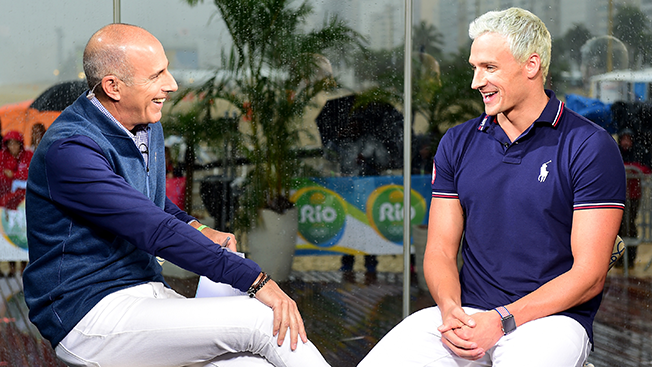 Lochte embellished the story of what he claimed was a robbery at gunpoint with fellow swimmers at a gas station in Rio de Janeiro during the Olympics earlier this month, lying about it to NBC's Billy Bush and Matt Lauer (and inspiring some shade from the likes of Al Roker, Stephen Colbert and John Oliver, who all called him out for his behavior). Lochte apologized to Lauer in an interview that aired on the Today Show on Monday, saying that he "over-exaggerated" the events of that night.